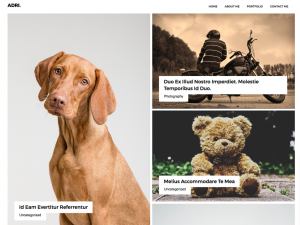 Adri is a simple WordPress theme for photography portfolio, blog, tube site, member site and more. Adri can also be use be used for creative agency or photo studio. Editors Note: Responsive with a clean, minimal look and feel – feature image friendly.